Scaling the literal heights of luxury and never failing to amaze both locals and tourists, the UAE is truly a wonder. The ever-evolving country is dotted with skyscrapers, including the world’s tallest building, Burj Khalifa. Dubai, the country’s crowning jewel, houses three of the tallest towers in the world completed last year according to the Council of Tall Buildings & Urban Habitat (CTBUH). This raises the UAE’s global ranking in terms of skyscrapers to 4th in the world, with 95 towers at heights of 200 metres or more. It’s a cool fact to know about the country you’re living in. But did you know that over the past three decades the title of ‘UAE’s tallest tower’ has been passed on multiple times, in line with the country’s fast-paced progress? We take a trip down memory lane and give you the tallest buildings in the UAE, then and now. Before the Burj Khalifa came into being, there were others that ruled as the tallest buildings in the UAE. As each structure dethroned its precursor, the country around them flourished and thrived in various sectors such as construction, hospitality and tourism. Dubai World Trade Centre was the tallest building in the UAE for over 20 years! Those who grew up in the UAE remember this from social studies classes in school. This iconic landmark was the country’s tallest building at the time. The momentous Dubai World Trade Centre (DWTC), formerly known as Sheikh Rashid Tower, was the UAE’s tallest building for a good 20 years while the country was still developing. Even as Dubai evolved into the cosmopolitan business hub that we know today, this iconic structure held its own as a powerful reminder of the UAE’s past. Presently spanning over one million sq. ft., the Dubai World Trade Centre is now a leading events and exhibitions complex in the region. Burj Al Arab’s billowing-sail shape is recognized the world over as a symbol of Dubai and its luxurious hospitality. 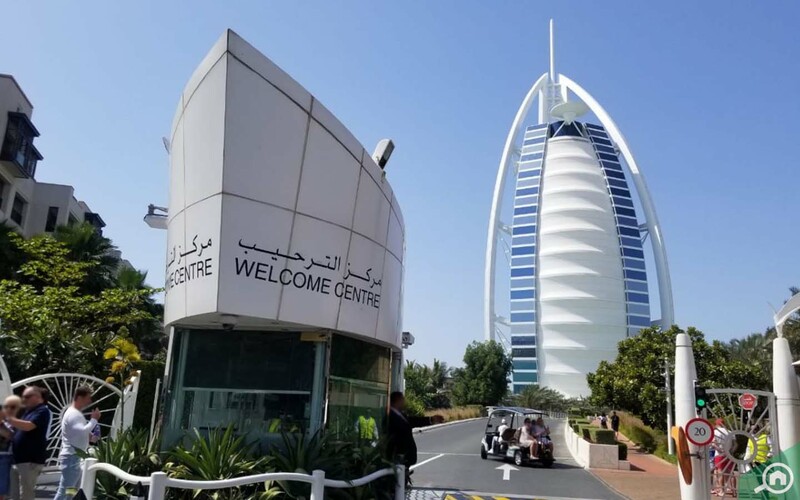 One of the first structures to introduce the luxury factor in Dubai, Burj Al Arab has remained remarkably significant in shaping the country’s identity. The distinct sail-shaped structure is built on a man-made island (yes, the first of its kind in the UAE! ), that sits 280 metres off the shore of Dubai. At 321 metres high, Burj Al Arab was the tallest all-suite hotel in the world at the time, cementing Dubai’s position on the global luxury scene. Today, the iconic hotel ranks as the 5th tallest hotel in the world. Of the two, Emirates Towers One is the 2nd tallest office-use building in the UAE. From hotels to offices, Dubai’s cityscape saw massive changes in the new millennium. In 2000, Emirates Tower One of the two-tower office complex quickly took over Burj Al Arab as the tallest building in Dubai and the UAE. Together with Emirates Tower Two, a hotel-use skyscraper, the complex has become one of the most distinct twin towers in the world. At the time of its completion, the 56-storey Emirates Tower One was the 9th tallest commercial-use tower in the world and currently ranks 15th on the list. It was also one of the first skyscrapers of this stature to be built on Sheikh Zayed Road, paving the way for so many that would populate the notable area in the years to come. Almas Tower, tallest among the towers in JLT, ranks 7th among UAE skyscrapers. Before Jumeirah Lake Towers existed, this commercial high-rise tower put down its roots in the area and became the tallest building in the UAE. 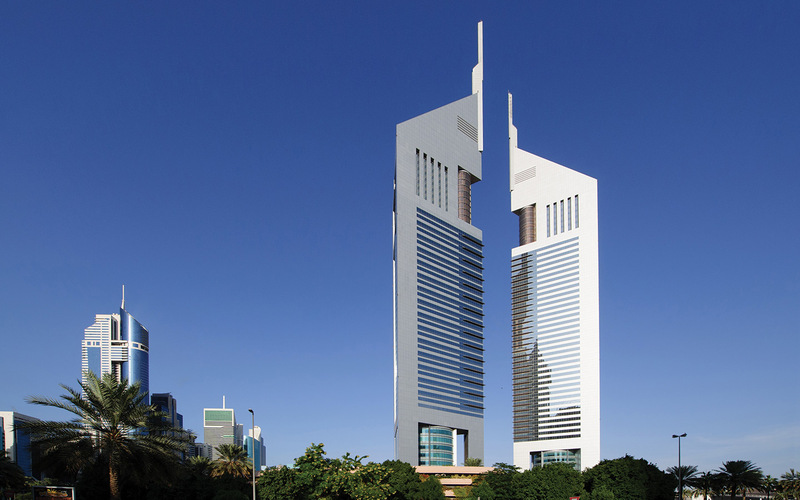 Designed with a distinct diamond-shaped podium, Almas Tower is 65-storeys high and has 35 elevators. After Emirates Tower One, this was the second prominent office tower in the country. 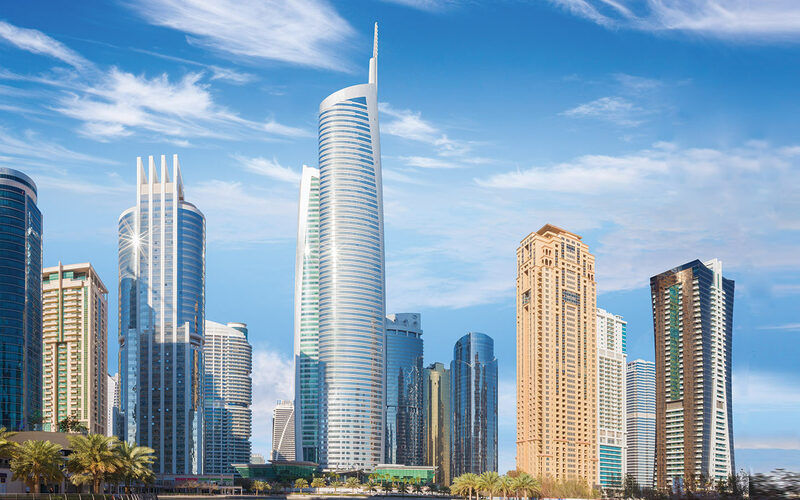 With notable office buildings making it to the list of tallest structures in the world, the UAE was changing, and its skyline mimicked this progress. 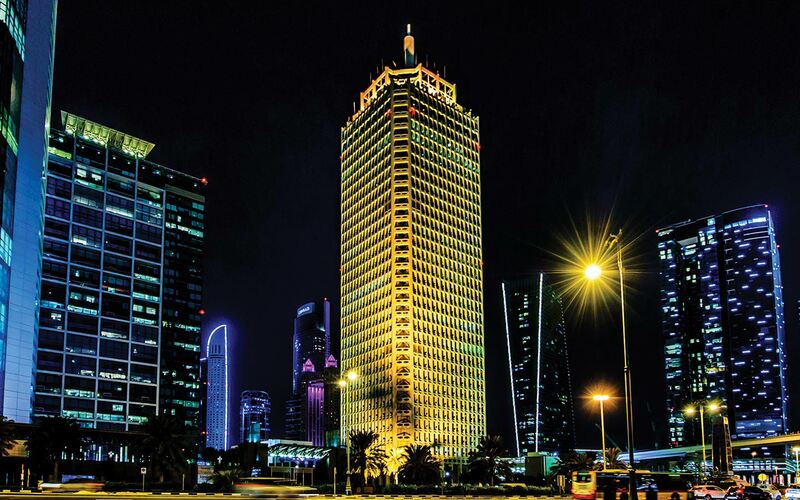 At the time of its completion, Almas Tower was the 3rd tallest building in the Middle East and the 12th tallest office-use building in the world. Burj Khalifa has been the tallest building in the world for over 8 years now! And that brings us to the glorious Burj Khalifa. The year was 2010, Sheikh Zayed Road was already home to numerous skyscrapers shaping Dubai’s skyline, and the UAE was poised to reach new heights with its latest architectural wonder. At a staggering height of 828 metres, the 163-storey Burj Khalifa has held the “tallest building in the world” title since it was built. The construction of Burj Khalifa reinforced the UAE’s revered position on the real estate map and soon, the country was recognized all over the world as a key player. Can you imagine living in the tallest building in the world? 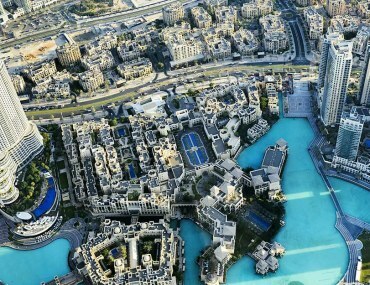 Take a look at what it’s like living in Burj Khalifa! 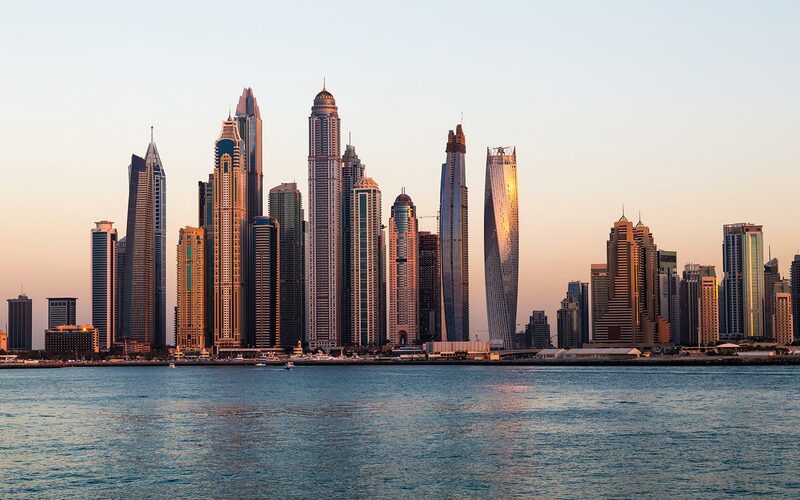 Today, the UAE’s distinct skyline and spectacular high-rise towers are world famous. And make no mistake, the country has no plans of slowing down anytime soon. Just last year three of the world’s tallest towers built in 2017 were constructed in Dubai. Take a look at these spectacular Dubai towers that made a splash in the world of skyscrapers. Overtaking Princess Tower in Dubai Marina as the second tallest building in the UAE, Marina 101 (7th from the left), was the 3rd tallest tower built in 2017 (worldwide). The 3rd tallest building completed in 2017 was Marina 101 located in the bustling Dubai Marina neighbourhood. The area is home to numerous high-rise towers, with Marina 101 being the latest addition. The new and shiny tower replaced Dubai Marina’s Princess Tower as the second tallest building in the UAE. The striking mixed-use tower has 101 floors accessible through 29 elevators. Marina 101 currently ranks as the 3rd tallest building in the Middle East, and 18th tallest tower in the world. Fancy owning a home in 2017’s fourth tallest tower? Browse through our listings of properties for sale in Marina 101! Standing next to the towering Burj Khalifa, the Address Boulevard is another one of the tallest towers in the world that was built last year. Ranking the 4th highest among 2017 completions, the Address Boulevard is a residential and hotel use tower scaling up to 73 floors with 530 apartments and 196 hotel rooms. 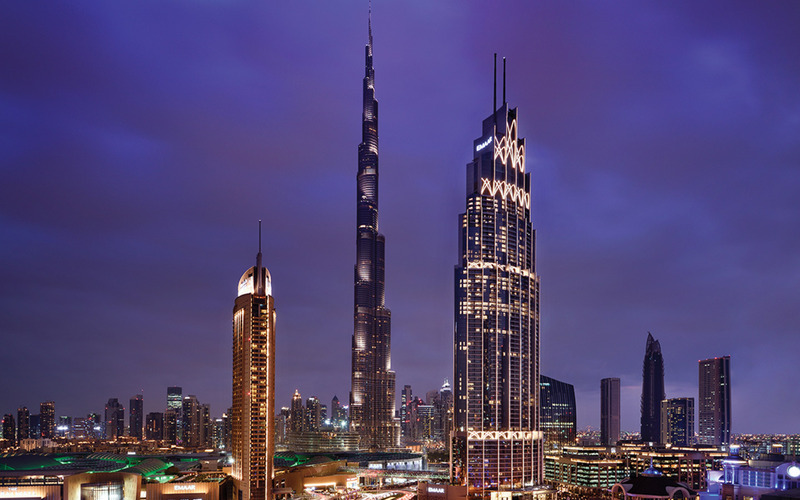 Its prime location in Downtown Dubai promises spectacular views of Burj Khalifa to residents and guests. The tower ranks 2nd tallest in Downtown Dubai and 7th amongst UAE’s tallest buildings. If you thought the UAE had already reached its height (pun intended) of luxury, wait till you see the apartments for sale in The Address The BLVD‘s residential wing! The distinct gold tower recently opened its rooftop to the public, offering stunning views of Dubai. 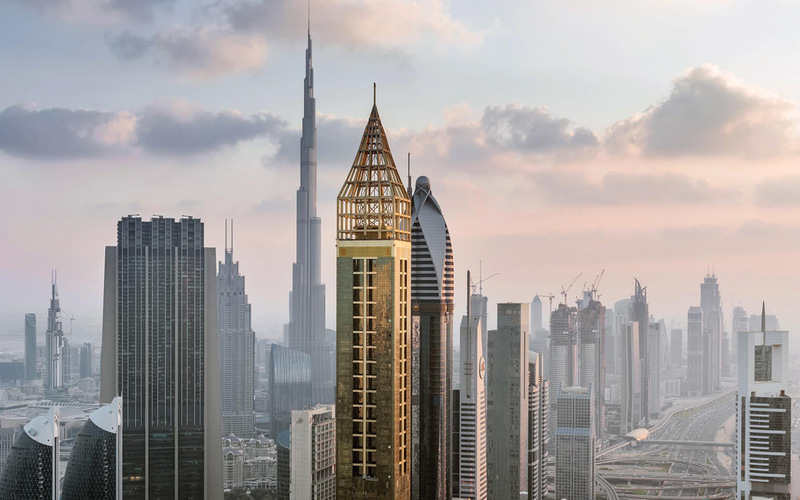 Surpassing JW Marriott Marquis Hotel Dubai by just one metre, the Gevora Hotel completed in 2017 is officially the world’s tallest hotel. This latest entry has resulted in 7 out of 10 tallest hotels in the world being located in Dubai, with the top 6 solely being Dubai hotels. Is it any wonder then that tourism is positively booming in the country? The 75-storey Gevora Hotel recently opened its rooftop to the public, so people can now go to the top of the world’s tallest hotel and see spectacular views of Dubai. 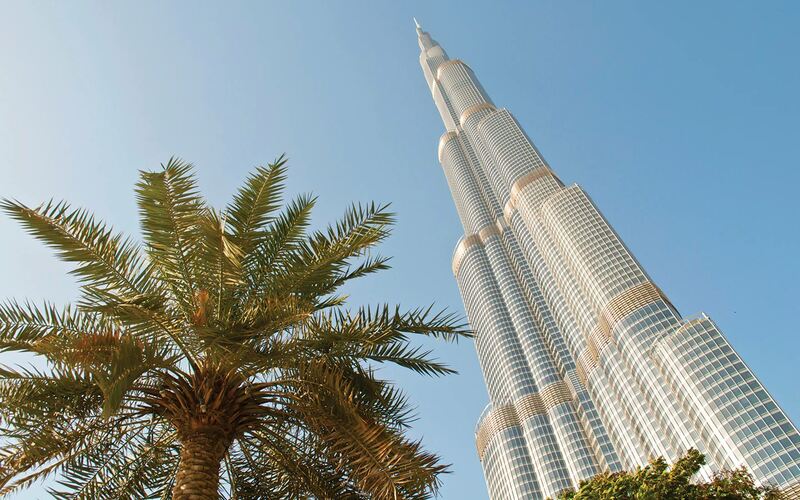 UAE hotels have a history of appearing on the world’s tallest towers list consistently over the past few decades. 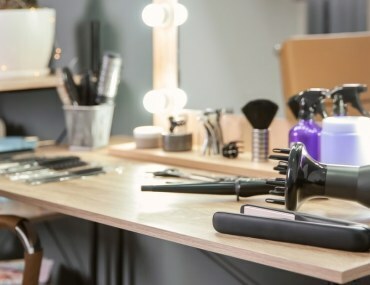 This has contributed greatly to the country’s hospitality sector and with tourism in the UAE at an all-time high, it is now a flourishing industry within the Emirates. Skyscrapers in Dubai are not the only ones to make it to the coveted list of tallest towers in the world. Also amongst the top 100 is Abu Dhabi’s Burj Mohammed Bin Rashid Tower which is 381 metres high and the 28th tallest building in the world. The landmark building marks the UAE capital’s first entry into the world’s tallest structures list. ADNOC Headquarter building in Abu Dhabi also made it to the top 100 tallest towers in the world and stands tall at 342 metres. UAE’s tallest buildings are a source of pride in this fast-developing country. It is no small feat to turn a former desert into the bustling city of towers that it is today. The pace at which the UAE has developed is a true testament to the country’s visionary leaders who have taken it to new heights in such a short span of time. As we just saw, the first UAE building to rank anywhere on the world’s tallest towers list came around only in 1999, almost three decades after the seven emirates were united and the UAE came into being. With more towers of staggering heights, like the much-anticipated Dubai Creek Tower, in the pipeline and the country now being home to the world’s tallest hotel, it is no doubt that the UAE will continue to dominate the world’s tallest structures’ list for years to come. And all we can say is that this really is the most exciting place to be at right now. There’s always something happening in this fast-paced country – from new towers to exciting events. Take a look at our March events roundup to see what’s happening around you in Dubai! 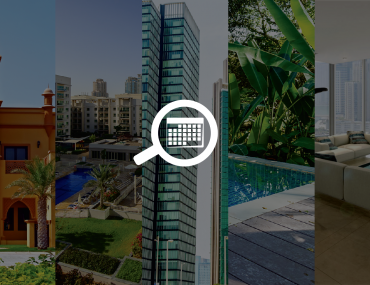 For more updates on the latest happenings in the UAE, stay tuned to Bayut’s leading real estate blog! The tall skyscraper buildings of Dubai are really attracting tourists and everyone is counting to see more such amazing architecture touching new heights. Normally I do not leave post on blogs, however I wish to say that this very write-up forced me to take a look at and do so! 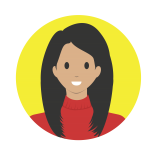 Your writing style has been amazing. Thanks, quite great article.